Although I only just reported this item as coming out in the Foodie News Burst, I happen to find the product first hand in Asda today! 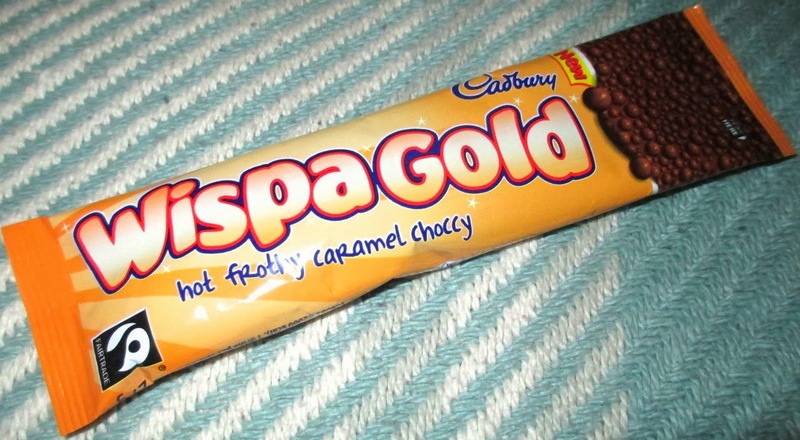 Wispa Gold is one of my favourite chocolate bars, and I have enjoyed the regular Wispa hot chocolate so the promise of a Wispa Gold hot chocolate really got my hopes up! I would have purchased a jar if it had been available, but it was only available in sachet form in my local branch. I picked up a few, just so I could stock up for now. 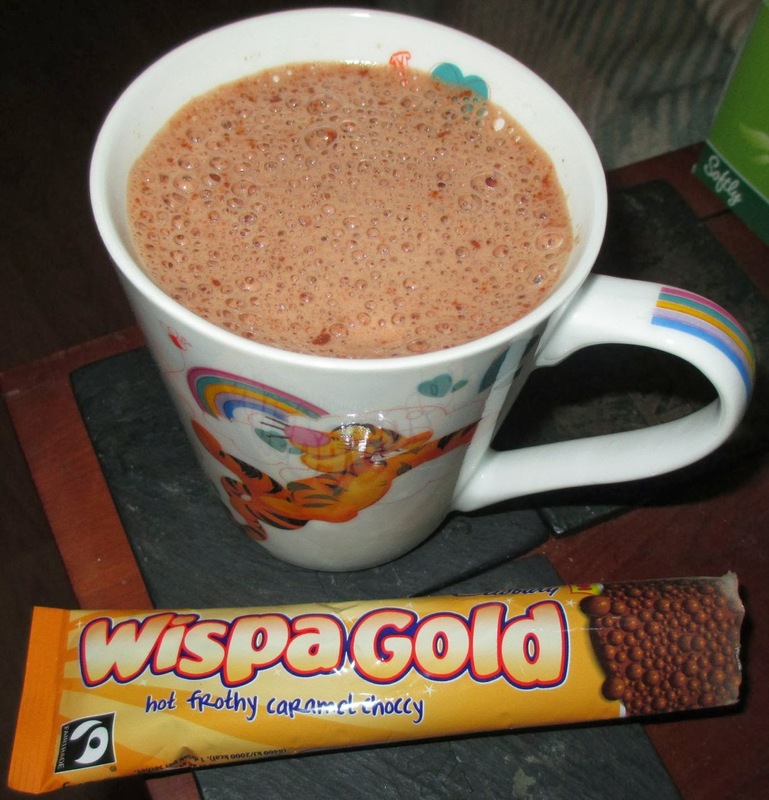 As the weather has been awful recently I have found myself drinking more hot chocolate than usual, it is just such a nice and warming sweet treat in an evening. I ripped open the sachet and poured the contents into a mug, my first thought was that there was rather a lot of powder! It was an impressive amount that had me checking to see if it was meant for two cups. It wasn’t, but it looked like it could have been! I added the hot water and the mug fizzled for a moment and as I stirred the bubbles appeared, and loads of them too! There was also a wonderful strong sweet smell of caramel that filled the kitchen, which was rather lovely. After it had cooled a moment, but not lost any of it bubbles, I gave it a little taste. The drink was soothing and chocolatey, with a nice sweetness form the caramel. The flavour wasn’t as strong as I had imagined from the aroma, but it was still a rather tasty drink. I am fussy when it comes to hot chocolate, real fussy - but this one won me over. I do think that the bubbly hot chocolates work well because they force the contents to mix better and give a better finished taste. The added flavour of caramel made it all a bit more indulgent. I can’t wait to buy the jar when they finally come out! I saw the jar version in waitrose the other day. I finally got hold of some and it's delicious, by the way. And I can confirm that although it says to make it with hot water, hot milk works perfectly too and has the same bubbly result.